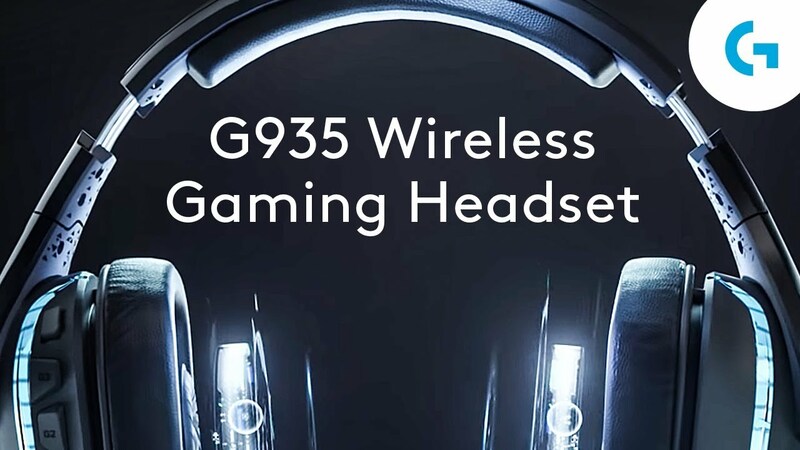 G935 gives you the best of both worlds, with the option to game wirelessly or wired. Play on 2.4 GHz wireless for up to 12 hours per charge without lighting or 8 hours with default lighting.3May vary based on user and computing conditions. 12 hours battery life is based on no LED lighting and headset volume set to 50%. Alternatively, the 3.5 mm analog input gives you the freedom to play wired—on console, mobile or PC—without using battery power. Upgraded Pro-G 50 mm drivers are constructed with a proprietary woven hybrid mesh that unlocks greater sonic detail, depth, and clarity at any volume. Now, with the increased diameter, Pro-G performs better than ever. Low frequency sounds—like booming explosions and rich soundtracks—are even more full and cinematic. High frequencies—voices, footsteps, shots fired—are incredibly clean and precisely recreated. Hear more of your game than ever. Play the unheard with Pro-G 50. Experience incredible DTS® Headphone:X 2.O that performs with greater precision than 7.1 channel surround sound.4Advanced features require Logitech G HUB software. Download at LogitechG.com/downloads. Precise and accurate in-game spatial awareness allows you to clearly detect position and distance in a complete 3D soundscape. Hearing your surroundings clearly can be the difference between victory and defeat. One headset for all your devices. G935 mixes audio from up to two devices at once. Choose from PC, mobile and game consoles including Nintendo® Switch™, PlayStation® 4 and Xbox® One.5DTS Headphone:X is not available on game consoles. Some Xbox One controllers may require an Xbox adapter, sold separately. Mac, PS4, Xbox One, Switch and Mobile: stereo mode only. Mic+ 6 mm is a boom mic enhanced for amazingly clear and precise comms. The boom has an indicator LED so you know when your mic is muted. When not in use, the boom mic can be folded back into the headphones making it nearly invisible. You’ll be extremely comfortable, even during the longest gaming sessions with deluxe leatherette padding in the ear cups and headband. G935 is fitted with large-diameter circumaural ear pads which fit completely around the ears and put no direct pressure on soft tissues and provide passive noise isolation. The ear cups are removable for cleaning.